In seek of affordable PSD to RapidShop conversion services; most store merchants neglect the significance of quality factor. We at CSSChopper are a professional design to shopping cart conversion expert that deploys 100% pixel-perfect theme development solutions. Being a global acclaimed service provider, we strictly focus on delivering one-hundred percent client satisfaction through our catered services. CSSChopper is an India’s fastest growing e-commerce web development and outsourcing company in the web industry today. We are a specialized group of e-commerce professionals that have rendered successful shopping cart solutions to an array of businesses. We work closely and meticulously with the clients to provide flawless store development and configuration solution, fitting their clear-cut needs. Ability to display product listing all through manifold pages as per the users’ interests. Our strong domain experience and matchless proficiency make us your ideal partner for your e-commerce customization solutions. 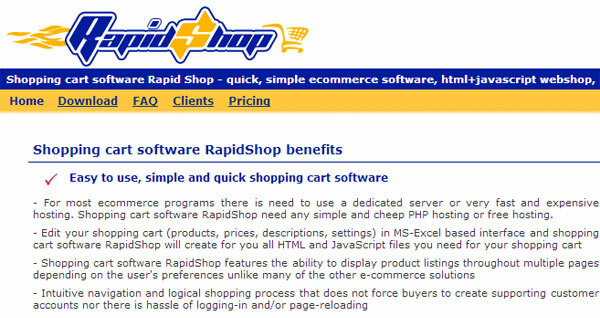 We have gained years of excellence in developing and deploying varied open-source e-commerce solutions. The showcased portfolio of e-commerce projects will apparently render our in-depth competency and technical adeptness of our work style & project snippet.